So how do I keep him engaged, and excited about reading and writing in Spanish?? 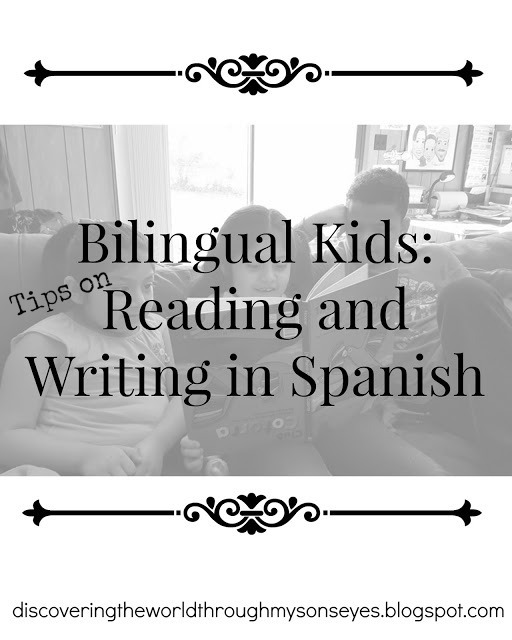 Read along as I share 8 tips on encouraging biliteracy in our home. 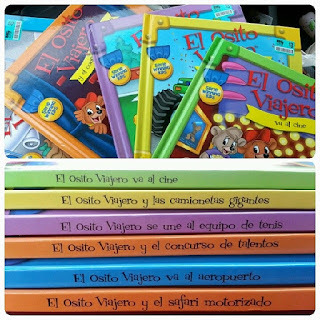 One of my goals when raising a bilingual kid was for him to read and write in Spanish. Since little one, is not so little anymore. I have to constantly look for ways to keep him engaged, and interested. Find books that peak his interest. For instance, my son loves animals. Having him read books on animals in Spanish is fun, and he loves it ! Mini-books. 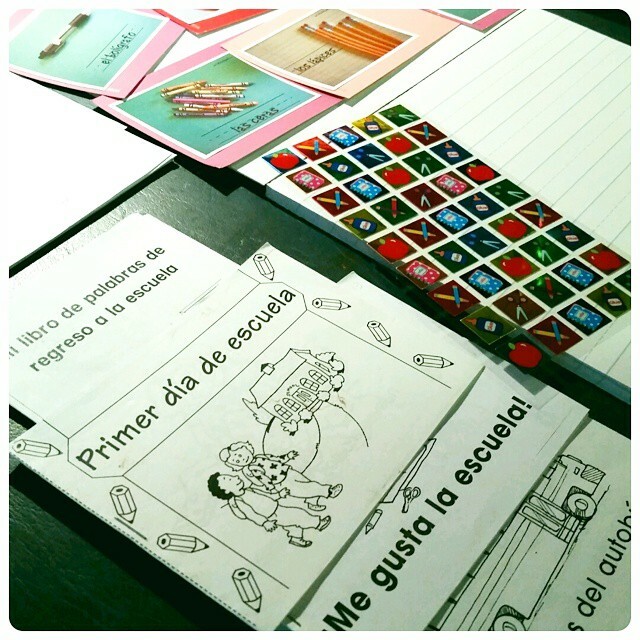 Mini-books are a great way to introduce kids to reading and writing short sentences. 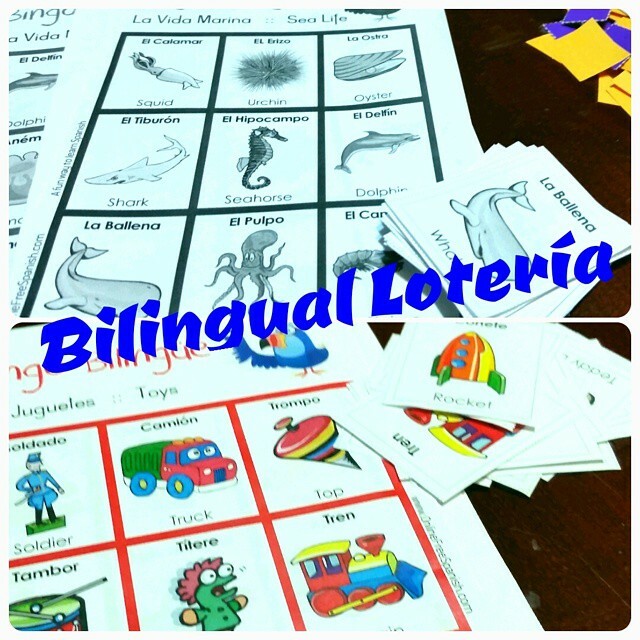 Play bilingual lotería or bilingual bingo. My child loves to play this! He gets especially excited when he can translate a word that he’s reading in Spanish to English. 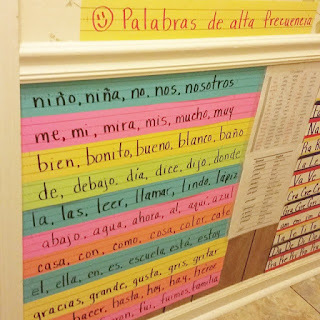 Create a word-wall with Spanish words. Use a Spanish word search book. 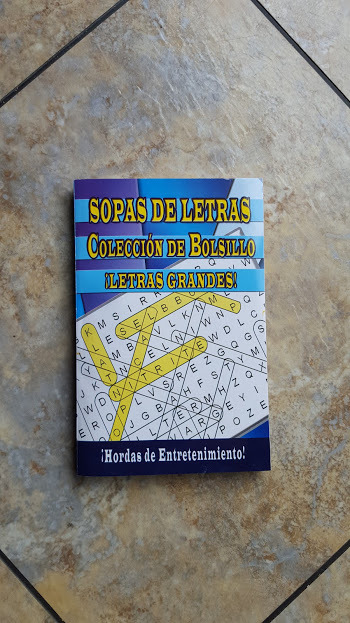 I found a word search in Spanish during our last visit to Puerto Rico. It’s great for him to search and identify words. 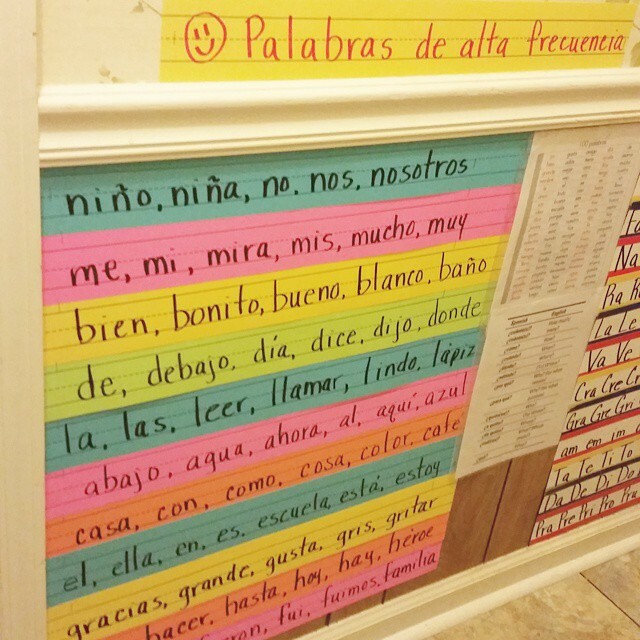 A big plus on finding words is that he’s adding more Spanish words to his vocabulary! Score! Stimulate his mind with a picture book. Have him look at the picture and write four simple and short sentences describing what he sees. I was surprised when my son came up with four sentences on his own, and he wrote a bonus one, too! 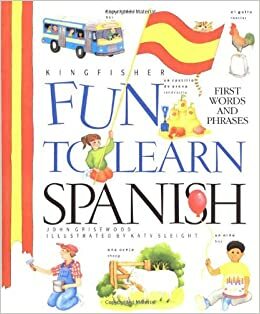 We used this book: Fun to Learn Spanish. Find a pen pal for your child. My son has a pen pal to whom he writes to in Spanish. They exchange letters, stickers, etc. This encourages him to write, and he looks forward to receiving a letter from his pen pal. Make your own story. My son is quite the storyteller. 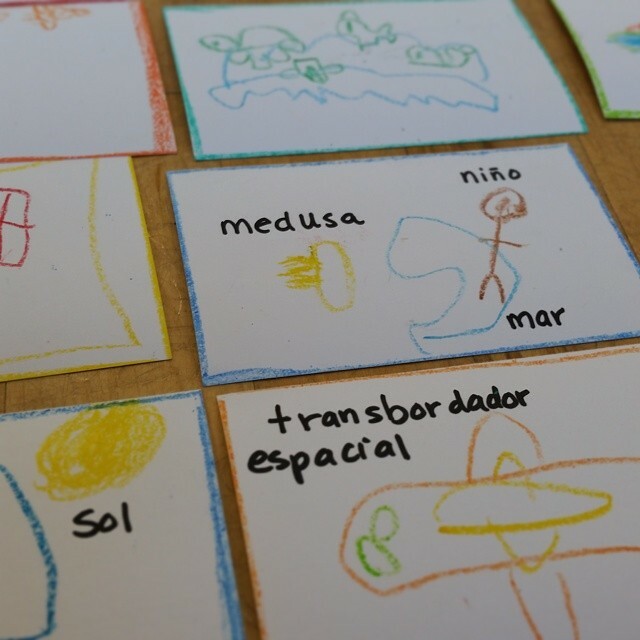 I take advantage of that and ask him to draw a picture and write the words in Spanish. I help him put the words together to make a sentence, and then we make a storybook together. This last tip, I found it on 7 Steps to Raising a Bilingual Child By Naomi Steiner she encourages to have your child keep a daily journal. It ensures that they write daily. I haven’t tried this quite yet, and may introduce it to him later on. I have to admit we’ve accomplished great things in our bilingual journey that started rather late. Nevertheless, if I want him to be biliterate, I need to keep him constantly challenged. For more ideas on Bilingual Education & Resources for Teaching Kids Spanish check out my Pinterest Board below. Do you have any tips or ideas?? Please share below.